I totally want these playing cards! What a fun, typographically savvy alternative to traditional cards. I know this product is meant for infants but I love him and want him. 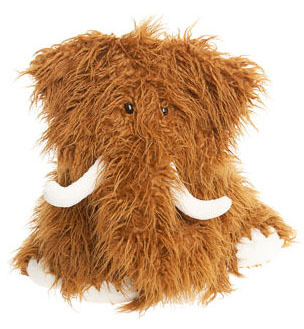 Truffle is an adorable woolly mammoth who can unfold and lie flat to become a blanket. I like to think he uses his trunk to find truffles too. I drink a lot of coffee and as a result I own a lot of Bodum products (it’s a disease, I swear) and I LOVE the color of this tea kettle! The color is in no way related to any of the colors in any part of my apartment, and I’d have to make sure that it doesn’t clash with my hypothetical future collection of bright yellow Le Creuset, but it is just so happy and cheerful. 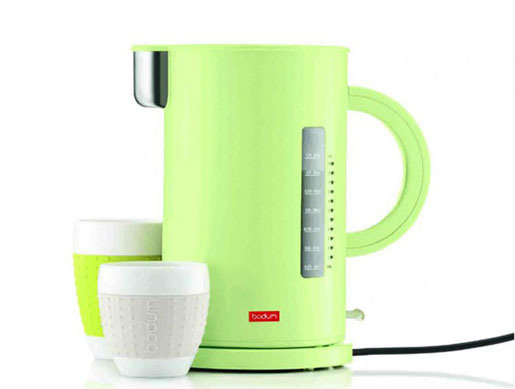 It’s a remake of Bodum’s 1986 tea kettle, designed by Ettore Sottass. From Design Milk via NotCot.